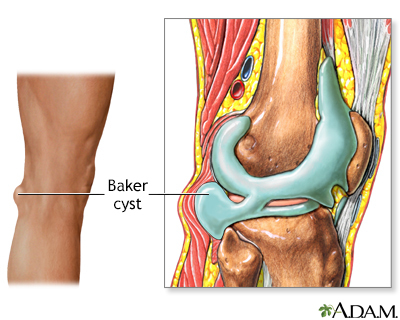 A Baker cyst is seen as a swelling behind the knee. It forms when joint fluid collects behind the knee. The swelling may be due from inflammation or from other causes, like arthritis. The condition can be seen in both adults and children.